Its been a long time since there has been a good love story in the movies! 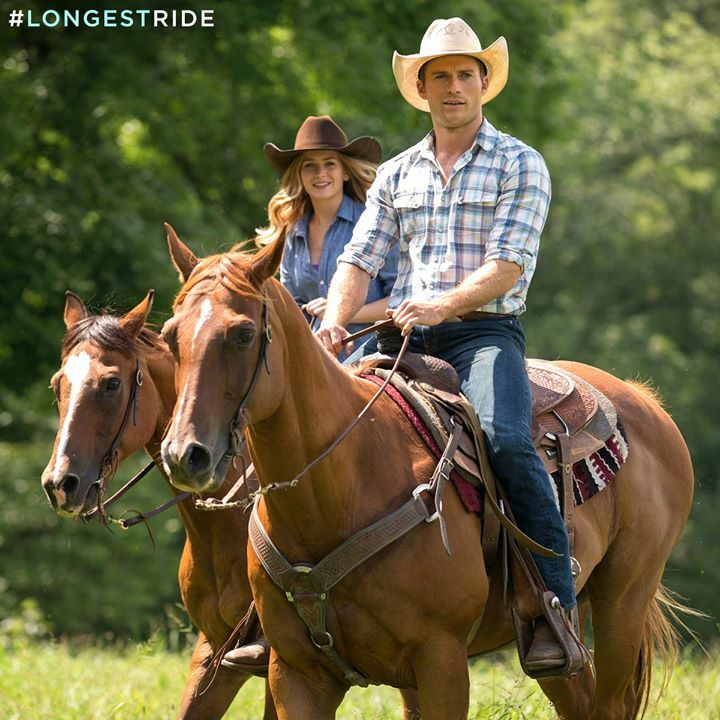 The Longest Ride is coming soon to theaters, I know I am going to be there when it opens to see this great story about a cowboy (swoon) and a city girl! Ariat International is a leading western footwear and apparel company; a major sponsor of the PBR and sponsor of western athletes throughout the country. They’re known for their comfortable performance and fashion products from boots to jeans to tops. For the 20th Century Fox release of THE LONGEST RIDE, Ariat was able to bring western authenticity and knowledge about rodeo, bull riding, cowboys and overall western lifestyle to the film. They helped create a sponsorship of the lead character, Luke Collins, by working closely with the costume designers and helping provide apparel and footwear to create an authentic bull rider. For more information on their partnership, click here. Redeemable on Ariat.com only for one (1) denim purchase up to $89. Open to US mailing address only. Disclosure: I have been compensated for this post. The Tales From A Southern Mom blog will always provide honest opinions, beliefs or experiences on products reviewed. We will only recommend products or services that we feel are of benefit to our readers. Tales From A Southern Mom is not responsible for prize fulfillment; sponsor will be responsible for prize fulfillment. This event is in no way associated with, sponsored, administered, or endorsed by Twitter, Google, Pinterest or any other social media network. If you have any questions, please contact me julie.talesfromasouthernmom@gmail.com. The disclosure is done in accordance with the Federal Trade Commission 10 CFR, Part 255 Guides Concerning the use of Endorsements and Testimonials in Advertising.